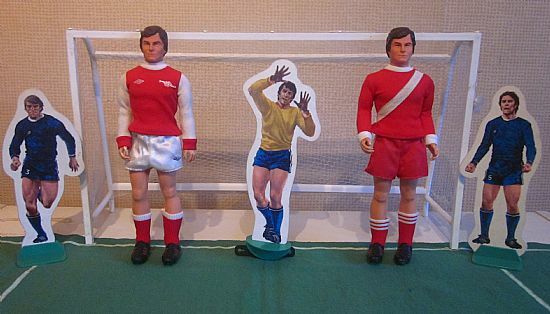 Not strictly a football game but another kicking poseable figure. 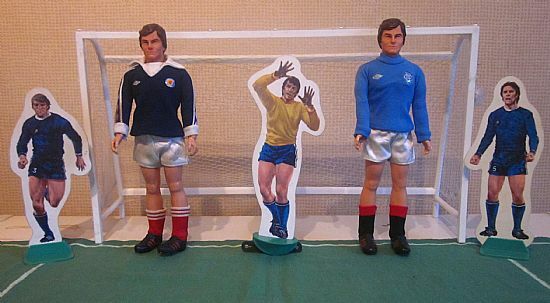 Made in the UK but developed with Mego the huge US based action figure company. 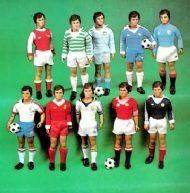 They also produced a special version with Franz Beckenbauer head sculpt and special accessories. My congratulations to Clem So who recently completed his quest for the full set - awesome! 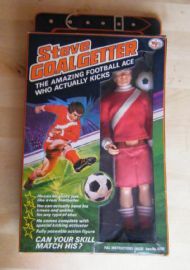 Yet another footballing superstar. The amazing football ace who actually kicks! Excuse the shorts at half mast - typical footballer prank! Six figures in six different kits as shown including the rare Beckenbauer figure and kit. A no nonsense stare indicates he's ready for action. Steve played for most top clubs in his career! 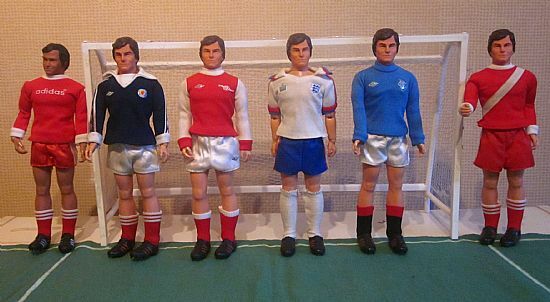 These kits are superb miniature reproductions of 1970s football kits. Please do get in touch if you have any to sell. He kicks using a trigger device or he looks like he could be taking a shot of cortisone to play on through the pain!! 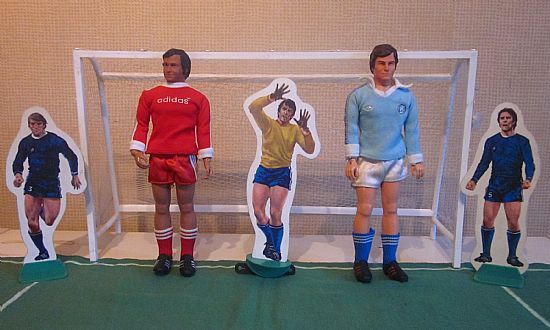 Franz Beckenbauer in Adidas kit and Steve in a Man City kit. 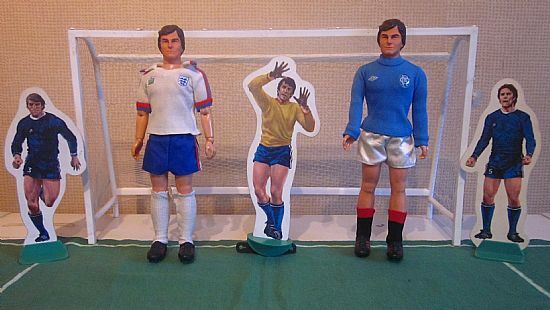 Steve in Scotland and Rangers kits.